I have fond memories of growing a garden during my childhood. While most kids slept in on Saturday mornings my Dad often woke me and my siblings up at 7:00 a.m. to go out and get weeding and get other chores finished in the garden before the heat of the day hit. Sure we grumbled and complained a little at having to get up so early, but my Dad was great at getting us laughing by making up silly songs as we worked. Not only did we make cherished memories and learn the value of hard work as children by having a garden, but I loved how all summer long and even into the Fall, we enjoyed fresh veggies from our garden. My husband and I are currently in the process of finishing our backyard so we don’t have an outside garden area ready just yet, but that doesn’t have to stop us from creating great gardening memories with our children. 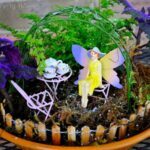 Today I’m sharing how easy it is to make a children’s herb garden with your kids with Miracle-Gro Gro-ables. There’s something magical about the hands-on experience of growing a garden, especially for kids. The entire process…from getting outside and getting your hands in the dirt and planting, to watering and tending your garden, to eating the fruits of your labors… it truly is an unforgettable and valuable experience. 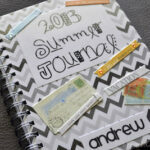 The Gro-ables Project is all about kids experiencing the joy in gardening. That’s why we are so excited to watch our herb garden grow and experience the deliciousness of fresh herbs in our food this summer. 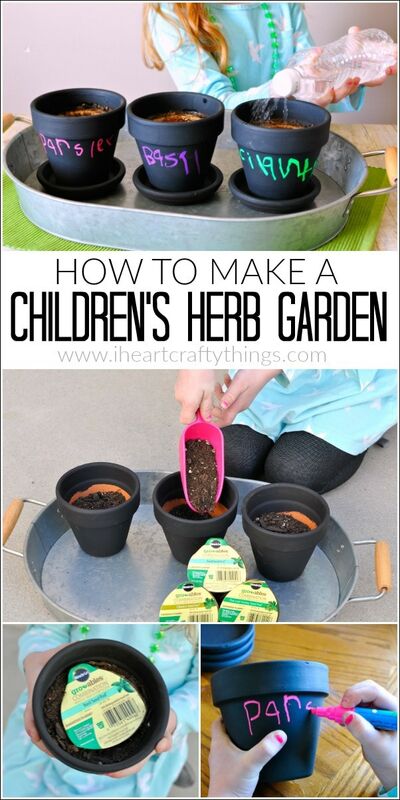 With Miracle-Gro Gro-ables and a few other materials, you and your children will be enjoying fresh herbs in no time! 1. 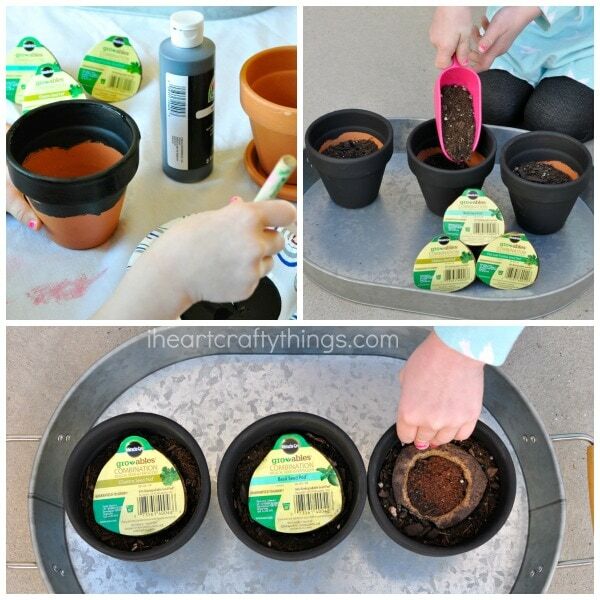 Start by painting your terra cotta pots with your black acrylic paint. The black paint gives the pots a fun chalkboard-like texture. There is no need to paint the entire inside of the pot, just the inside lip. Let the paint dry completely. 2. Fill your pots about 2/3 full with potting mix. 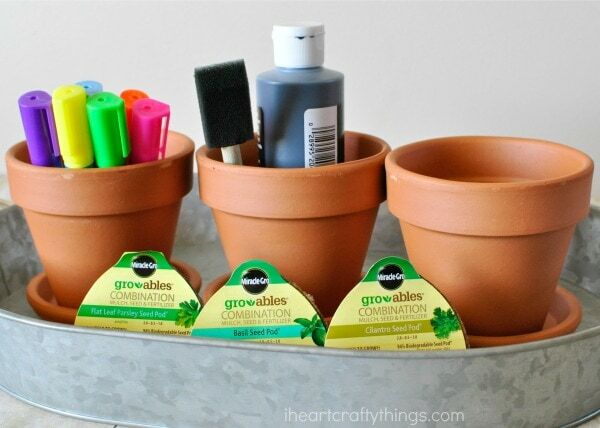 Then push the Gro-ables seed pods into the center of your pots until the top is level with the potting mix surface. Then remove the label from the top of the seed pods. So simple, right?! We especially love how they are guaranteed to grow, too! 3. 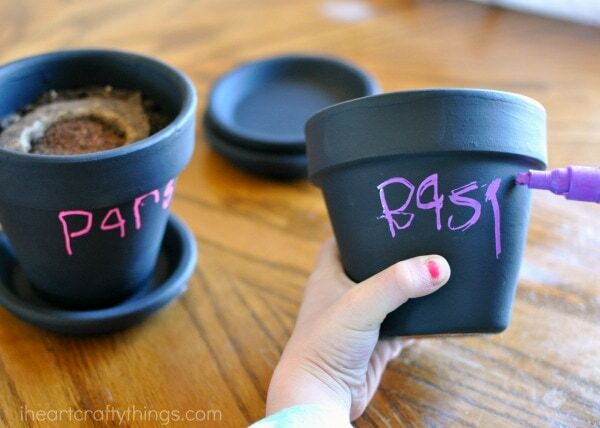 Use your chalk markers to write the name of the herb (or vegetable) on your pots. 4. 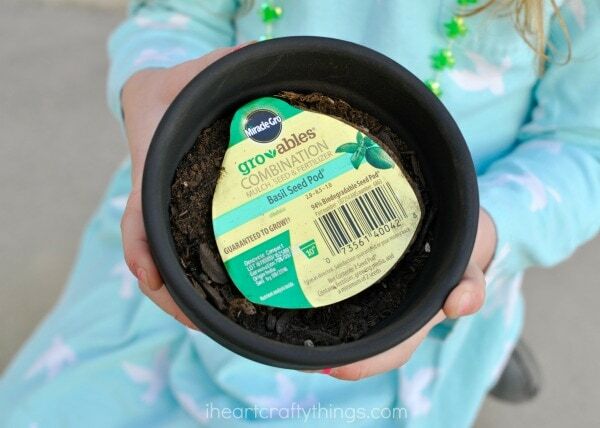 Give the Gro-ables a good watering after being planted and water them daily. 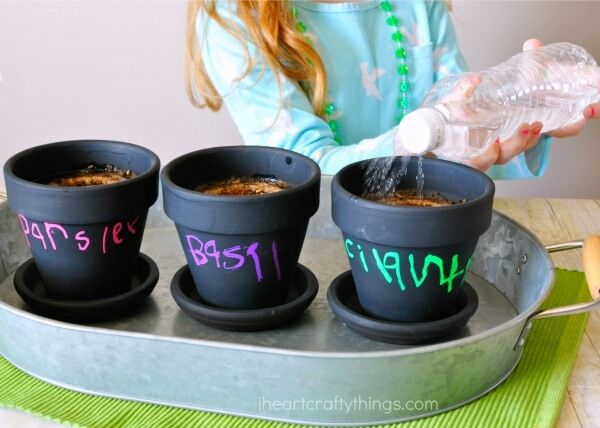 A simple way for kids to water their herb garden is by turning an empty water bottle into a watering container. Simply use a push pin to poke several holes into the lid of the water bottle. 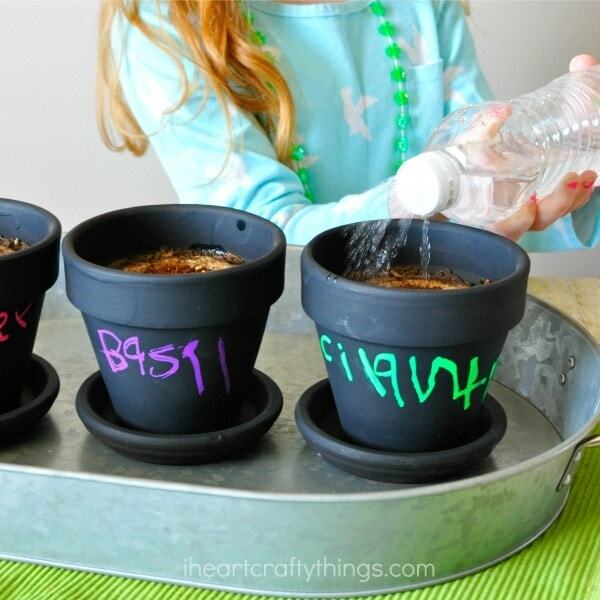 Fill it with water and then kids can turn it upside down and squeeze gently for water to come out to water their plants. We placed our pots inside a metal tray to contain them and so they are easy to move around. 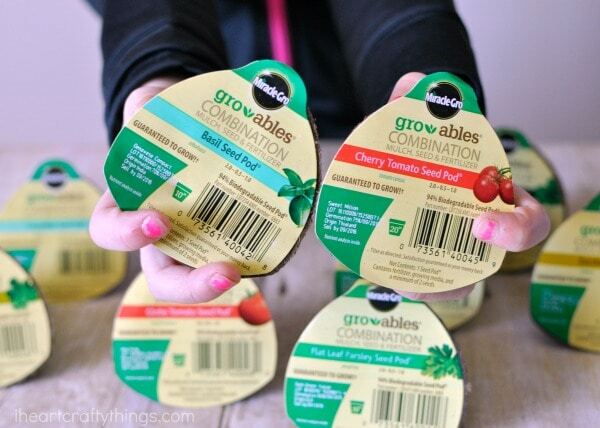 Each Miracle-Gro Gro-ables kit comes with 30 Gro-able pods in one variety. You are able to choose your variety from a list of 4-6 types. 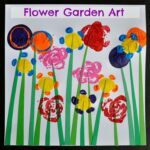 Since they are easy to plant and are guaranteed to grow, they make gardening with kids super easy and fun. After 1-2 weeks you’ll see sprouts and after a few months you’ll be able to enjoy fresh herbs and vegetables from your garden. My kids are anxious for our garden area to get finished in our backyard so we can get planting some yummy tomatoes and cucumbers outside. My daughter is already having so much fun watching over her little herb garden. She waters and observes it daily waiting patiently for her herbs to start sprouting. Do you garden with your kids in the spring and summer? 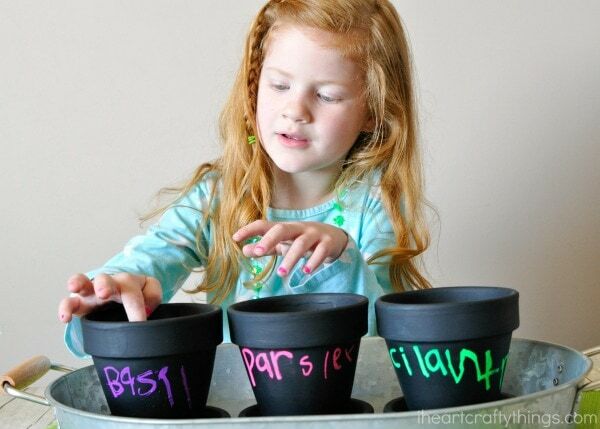 We’d love to hear any of your tips for growing plants with children! What a great idea and it looks so easy with the growables!